No doubt there’s an open social debate about the 4th Industrial Revolution and the role Robotics will play in relation to future job opportunities. 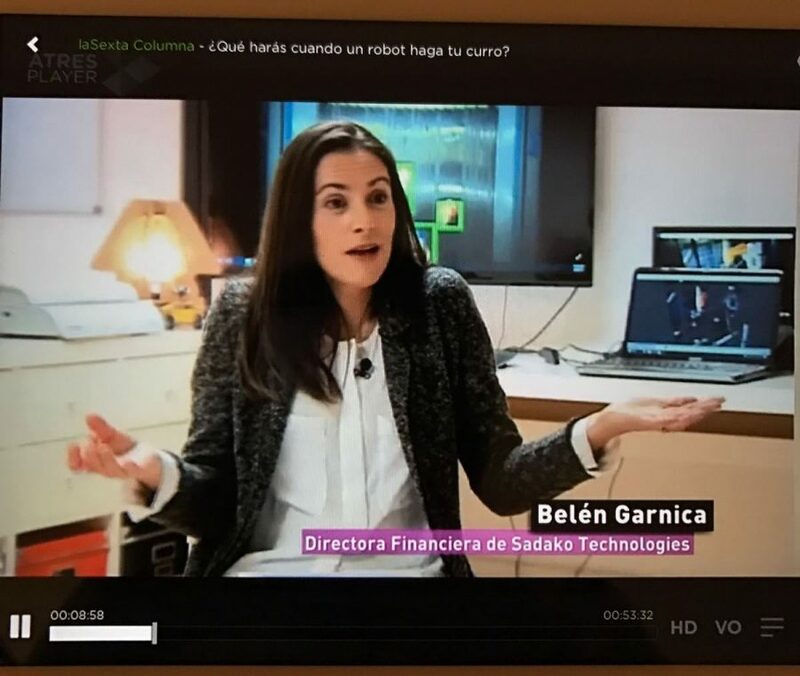 “La Sexta Columna” broadcast last February the 26th their super interesting TV report about the incredible advances of current robots and the many professions that may be affected. 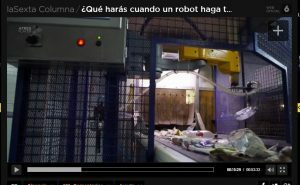 Our waste sorter Wall-B was featured by the report as an example of the specialist robots of the future, and the program includes also some statements of our CFO, Belén Garnica, with Sadako’s thoughts on this sensitive controversy. 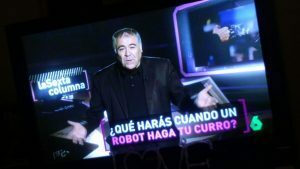 SINOPSIS: There are already robots that know how to lie and win us poker, who do complex surgical operations, who paint like Rembrandt or who manage to identify feelings. If we assume that neither sick nor late, we are facing a transformation of unpredictable consequences: the fourth industrial revolution. It is estimated that in just three years, robots will be prepared to replace one in every four jobs. Do they have to pay taxes? Do they have rights and obligations? What do we do with the millions of people who will be replaced by robots? Does universal basic income make sense?